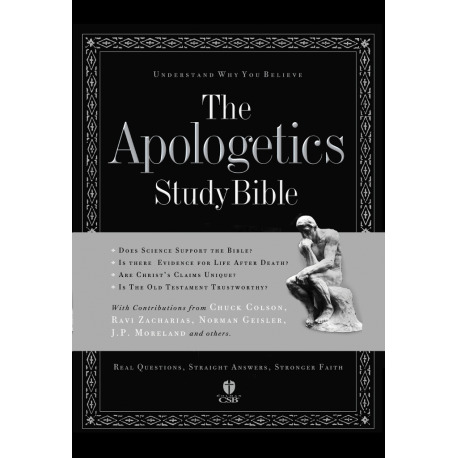 The Apologetics Study Bible provides straight answers to real questions about faith. It will help you to better understand, defend, and proclaim a faithful and biblical world view. Is the New Testament Trustworthy? Are the teachings of Jehovahï¿½s Witnesses compatible with the Bible? The Trinity: is it possible that God can be both one and three? Does science support the Bible? How can Jesus' death bring forgiveness? Does the Bible teach there is a purgatory? How should a Christian understand the role of government? How does Christianity relate to other Eastern religions? Does the Bible support the idea of a just war? How can we know the Bible includes the correct books? Has the Bible been accurately copied through the centuries? Does the Bible teach that humans are more than their bodies? Does the Bible teach that everyone will be saved? Click the "Excerpts" icon to see a sample article. 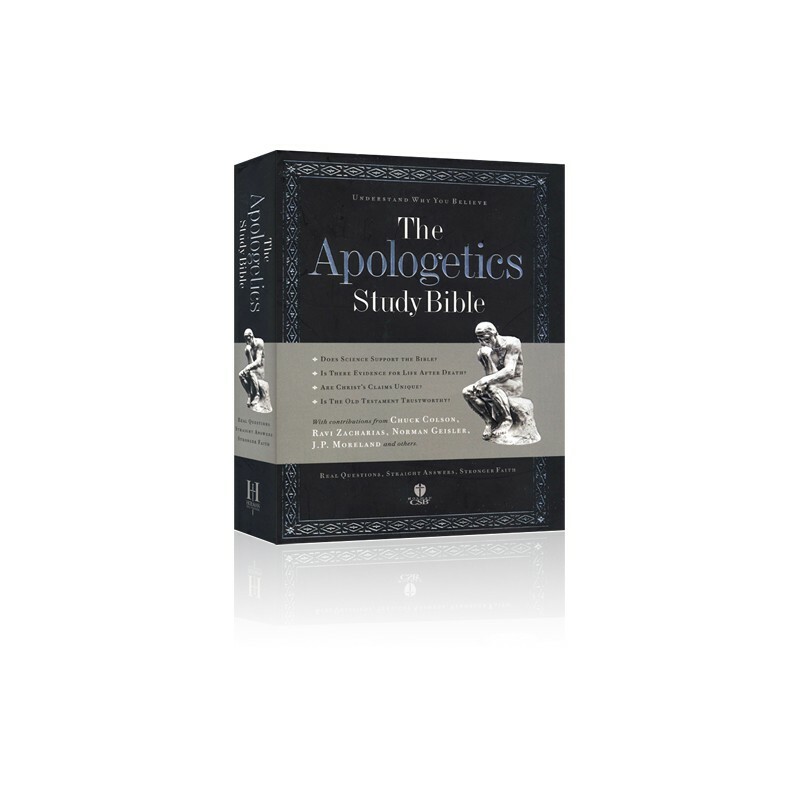 The Apologetics Study Bible for PC Study Bible includes the Holman Christian Standard Bible translation, a complete map set, as well as all study notes, introductory and supplemental articles as in the print edition.